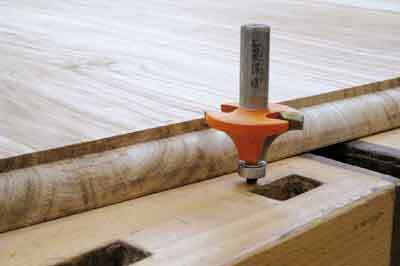 A rule joint needs some specialised equipment and fittings comprising a matched pair of router cutters, one rounding-over bit and one coving bit. 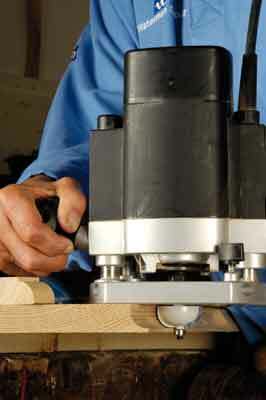 I prefer bearing-guided cutters for ease of setting up. 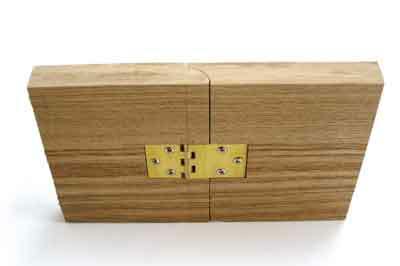 Specialist table hinges are also needed and I go for Isaac Lord's item No.30140, which is the bigger and stronger of the two they offer - see www.isaaclord.co.uk for more information. 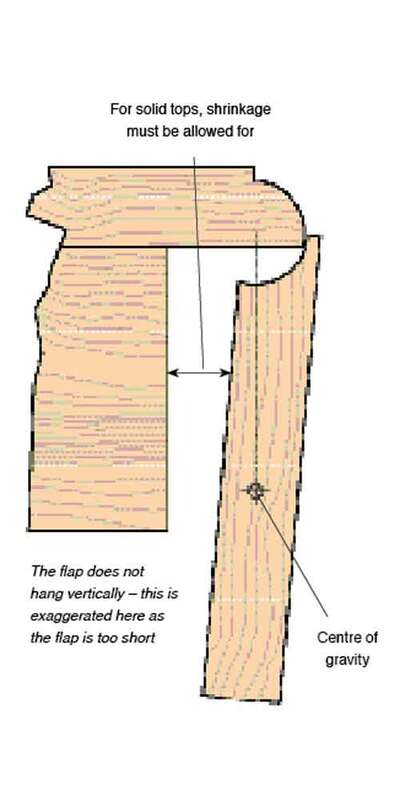 The wood should be close to quartersawn for stability; I am not, and this is a view shared by many of my clients, keen on pure quartersawn oak (Quercus spp.) because of the medullary rays, so just off quarter works well. 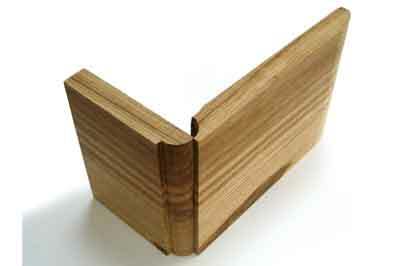 Rule joints are highly visible so design is an important issue. 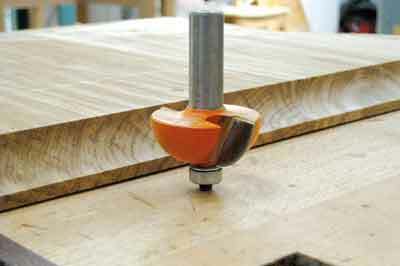 A radius of about two-thirds of the thickness of the tabletop is about right and 16mm-radius cutters are good for table thicknesses of 22-25mm. 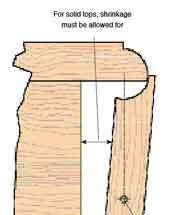 I'm not sure that a rule joint would work visually in a thicker top and it is unlikely that you would want a dining tabletop of less than 22mm. 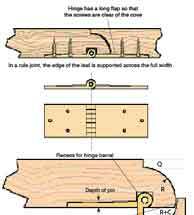 A full-size drawing of the joint's cross-section is essential to work out the settings of the router and the hinge. This then needs to be tried and tested on a mock-up, from which settings for the actual top can be taken. The hinges are structural, which is why I advocate the biggest size. They also need to be set reasonably close together as they form the only joint between the leaf and the main top. 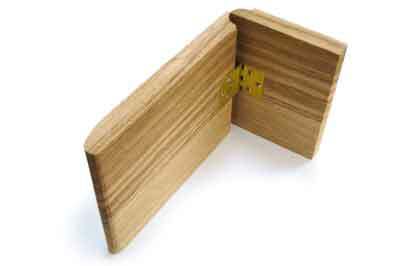 When the hinges are fitted, it is likely that the joint will rub and need easing off by hand; this is of course preferable to a gap. This easing occurs because of the slight difference in radius due to the width of the tiny clearance needed. A finely sanded finish is required on the end grain but the combination of moulded edge and fine finish is very attractive. As with any fine woodworking, the best, and quickest, results emerge from careful but positive work. A practice run is a good idea whenever a new technique is being tried.